The current state of continuing education is one that’s changing, but for some people…it’s not changing fast enough. They’ve facilitated plenty of workshops and other classes that were designed to help professionals get the ongoing education that they needed. But did everyone walk out of those corporate-paid sessions on equal footing? Absolutely not. Some people came with the right intentions: they were going to learn about a new technique or a new concept within their field, and they would be able to use that knowledge to better serve their industry. However, other people would come to these sessions to just check it off their list, and then move on to what they really wanted to do. As content designers, we have to answer the real questions. And this is just one of many, but it’s the topic of the moment: is continuing education meaningless? Trying to educate busy professionals can be like herding family pets into the tub for a good bath. They might need the bath, but that doesn’t mean that they’re going to be willing to take it. If you really focus on what’s best for them, however, you can create an amazing class that will have a lasting impact. Many content designers rely on templates instead of forward planning, and the participants can tell when something is too canned. It doesn’t have the authenticity that comes from knowing how your audience processes information. There are ways to build your first workshop without letting down professionals that are trusting you to fill them in on everything that’s changing in their business. Here’s how to get started. Your audience is coming from different walks of life. You have professionals that are very new in their careers, and probably still incredibly enthusiastic. You may have veteran professionals that have just gone through so many different industry changes that they’re a bit jaded and slow to latch onto yet another thing. Capturing the current flavor of your audience will allow you to change it. Now, you won’t know that much about your people before you get them. But if you can send out a survey, it can truly make a big difference in how you’re received when the workshop actually begins. Who is happy to be there? Who is annoyed to be there? Who wants to try to lead a small piece of the workshop? You never know who next year’s presenters will come from, so make sure that you watch your audience closely when they finally arrive. If you can get your crowd to get involved with what you’re teaching, it will not only stick in their minds better, but you’ll be able to get a much higher level of dialogue. Far too often designers assume that they’re dealing with people that don’t care about the workshop, but that isn’t always the case. Think about from their perspective. If they’re going to spend all day learning something, they don’t want to waste their time. They want to dig right into the topic, learn something, and then go back and implement some of what they learned. Interactivity could be an open Q & A session, a teambuilding exercise, or a chance for them to present in front of the group. You’ll start seeing who is introverted and who is extroverted, and who might be a little bit of both. Work on the people as well as the material, and you’ll see your workshop come alive! When it’s time to put it all together, you’ll know. 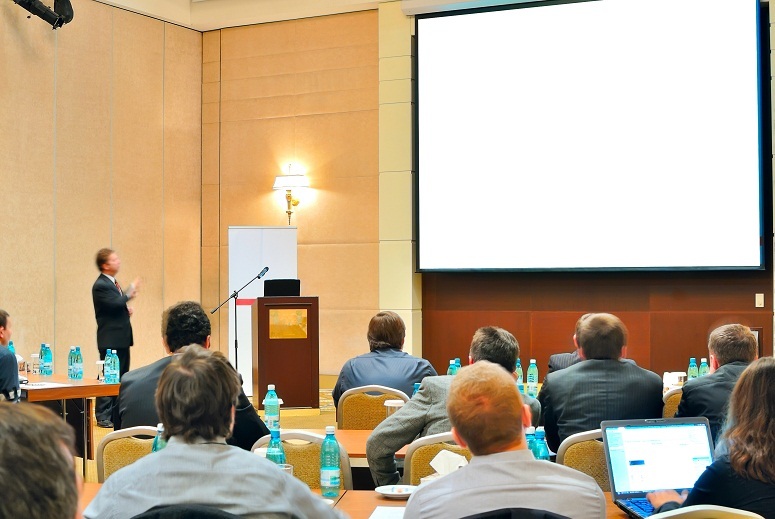 You’ll feel ready to give the presentation, but you’re not finished yet. You need to step back and look at the materials that are already being distributed to your group of professionals. There are trade magazines for just about every industry. Many of these magazines can be shipped right to your door, giving you the inside angle on what’s going on in their field. From there, you can take a lot of that intel on the go with you without too much hassle. The more information that you weave into your original work, the more comfortable that they will feel at the workshop. Why? It’s simple: they know that you speak their language, and that you understand what they’re dealing with. Overall, you need to put these tips into action. We can’t stress that enough. The worst thing would be to look at this guide and just think that there’s no way that you can move forward. Plenty of people have started out just like you with a blank page to contend with. They realized really fast that if they don’t take action, nothing gets done. If you’ve already won the contract to teach, you need to make sure that you start outlining what you’re going to teach and what research needs to be done. Good luck on your first presentation; you’ll knock it out of the park! Psoriasis is a skin disease that is normally due to genetics. This is usually a life long problem that causes the skin to develop thick, silvery, white, or red patches. This skin disorder occurs when your immune system malfunctions and causes an overproduction of new skin cells. This rapid growth of new skin cells on the skin surface will cause the formation of thick patches. Just imagine if you were suffering from psoriasis for 20 something years and the plaque builds up and starts taking over your life. It will cover your entire hands and feet, and make it almost impossible for you to move around without experiencing some pain. However, in the beginning stages of psoriasis most people don’t experience pain and mainly want to get rid of it because they are embarrassed. Unlike a lot of other skin conditions psoriasis is not contagious. If you notice red patches, or your skin begins to scale you may have psoriasis. © 2019 Medical Education | Proudly powered by WordPress | Theme by Health Blog - Gcmep.eu.